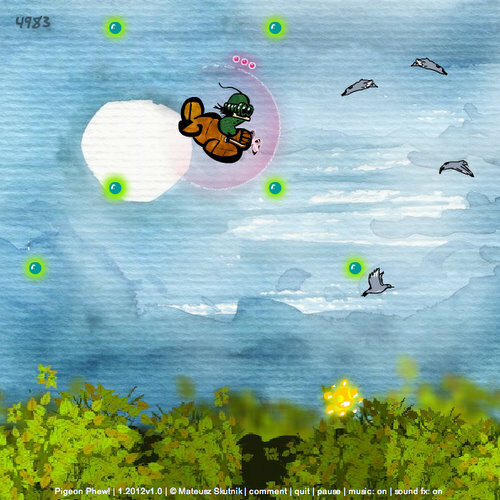 It is possible that you might not remember that way back in 2005 I made a little game called Aeroplane. Maybe it’s a bit more probable that you remember that I was rehashing my old squirrel games in 2008. Most of them got pimped back then. Aeroplane was one of the leftovers. Actually it was in the works but I kind of never got around to finishing that. Work overload probably. Anyway. Since this is the year of bouncing back from the 2011 creativity draught – I might as well start it off with this one. Enjoy!